• The lens' shallow depth of field at wide apertures allows the use of selective focus. This helps to emphasize the primary subject by defocusing the background. 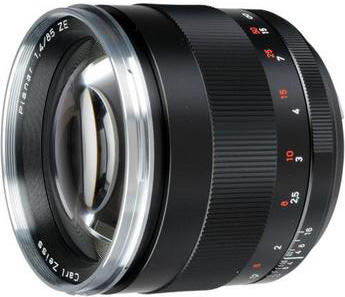 • The 9-blade, circular aperture produces a smooth and natural rendition of defocused images, as well as nearly circular shapes of point sources of light. • Geometrical distortion is imperceptibly low, allowing high quality documentation photographs, both analog and digital.